Grief-stricken father Seth Clyman spent seven days mourning the loss of his two-month-old daughter--the seven days of shivah in the Jewish religion--questioning the meaning of life as he tried to come to terms with his infant daughter's death. As friends and family came to pay their respects, Seth felt as though he was falling into a black hole-- weakened, humbled, and exposed, he spent those seven days examining a world he never knew existed. But when Seth emerged on the last day, something had shifted. He was a different person, a man who had the profound realization that death is actually the way one looks at life--death is not just an end, but also a beginning. 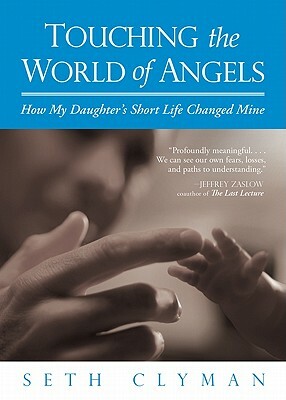 Weaving together thought-provoking parables, anecdotes from the author's past, and poignant Judaic teachings, Touching the World of Angels is a moving, raw story of one man's spiritual journey to make sense of his loss and to find the courage to gain a richer understanding of the world beyond this one.